Duncan Lockard started a petition at Change.org asking Apple to “Put song ratings back on iOS.” I signed it, and if you like song ratings, I’d encourage you to sign it, too. I like rating my songs. I like thinking about exactly how much I like a given song. I enjoy the occasional revelation when I realize I rated a song incorrectly (usually too highly). I spent years rating my iTunes library. Years. In two fell swoops, Apple decided my desire to rate my songs was irrelevant. Those users who cared about their ratings—like me—are cranky about it. 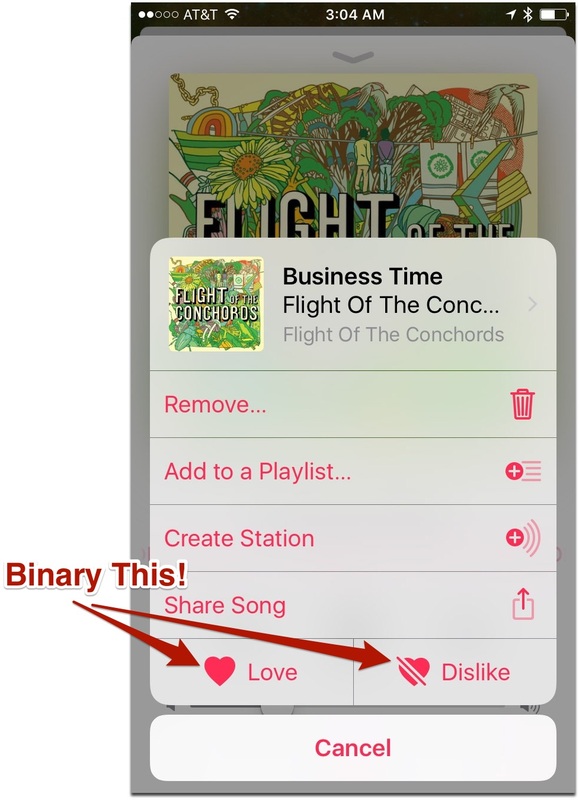 Technically, your song rating data isn’t gone—if you pull up “Get Info” on a song in iTunes 12.5.x, you’ll see any rating data you had entered and a heart to “Love it.” You can’t display that data in your Library in any way that I can find. You can display Hearts, but not ratings. You can only see and edit the ratings in Get Info. 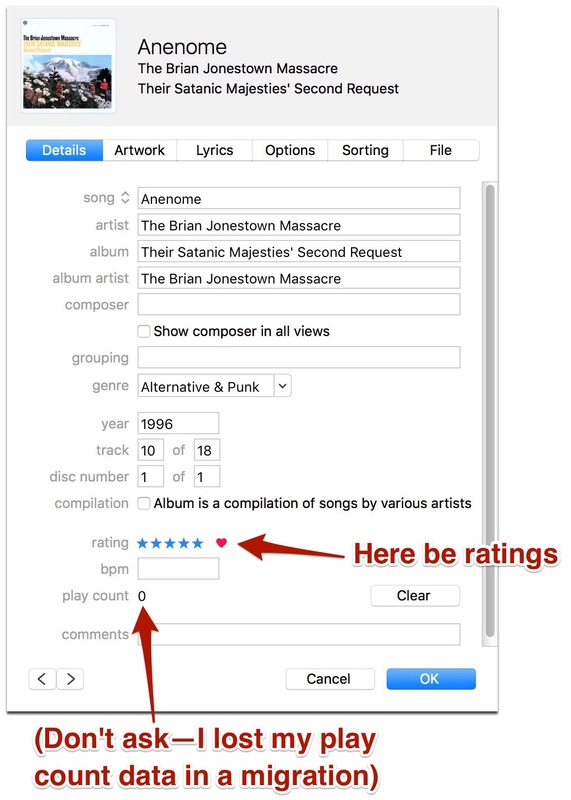 iTunes 12.5 Song Rating data safely tucked away where it’s hard to find, see, or edit. That is, in a nutshell, balderdash. In iOS, it’s worse. 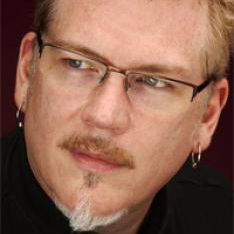 There’s no rating data, as John Kheit noted in a lovely little rant. You can’t see it. You can’t edit it. You can’t add it. You can heart it, of course. Or unheart it. By which I mean it’s more balderdash. The beauty of multi-star ratings is that you can use them to craft custom playlists. More specifically, you have far greater control with 5 stars than a binary Heart-On/Heart-Off rating system. I had very different uses for my 5-Stars playlist and my 5-and-4-Stars playlist. Different modes, different activities. The way I rated, I was usually uninterested in anything less than 4 Stars, but I imagine there plenty of folks who used each star as a classification other than quality. Maybe: 1 for Dancy, 2 for Running, 3 for Cleaning, 4 for Happy, and 5 for Sad. I don’t know you, so whatever you did is cool with me. The problem is that Apple’s decision to shift to a social-media-friendly binary Heart-based rating system gives us less flexibility; deprecates the work we’ve already done; and makes it far more difficult (though not impossible) to continue that work. I’m not a big believer in the power of these kinds of petitions to affect change, but you never know. Plus, I’m interested in seeing just how many people care enough to sign it. Apple has reasons for everything it does, but if enough people are cranky about ratings, Apple might be willing to re-introduce more robust 5-Stars rating options. Bring back the previous app, this thing is a disaster of clunk. I can see my ratings in iTunes by using the View Options. At the risk of being labeled a cynic, has a Change.org petition ever successfully changed anything?